“But, Mi’Lord, surely this emissary bears his shiny fare as a token of his appreciation,” declared a resolute Ekon. He looked from the great ship’s captain to the strange man from the shore. Leal’s eyes narrowed to slits. He stared at the man. He didn’t even know the man’s name or the strange things he said. Leal nodded and the trio walked to a wooden hatch leading into the belly of the great ship. Nichelle watched her father, Ekon and the strange man from the wheelhouse. Although the wheelhouse and the fo’c’sle were yards away, she could hear the conversation clearly. Nichelle reveled in her status aboard the great ship. Men had ruled the land. Men had warred for dwindling resources. Men dictated their daughter’s hands in matrimony – usually to further land or war. But, on the ship commanded by her father and built by the great Ekon, she had stature – more so than her siblings. The denizens of the great ship somehow bestowed her status upon the young woman. She mediated disputes. She was allowed to man a look out post. Nichelle smiled. Even the job is ‘manned,’ she thought as the conversation unfolded below. How would Themba, a man who worships a goddess, feel about a society governed by men? Nichelle shrugged and started to turn away as the trio walked to a hatch. Out of the corner of her eye, Nichelle swore she saw Themba smile at her. This entry was posted on Monday, March 9th, 2015 at 07:54	and tagged with #bekindrewrite, terribleminds, Victorious Maiden 3 and posted in fiction. You can follow any responses to this entry through the RSS 2.0 feed. An intriguing story told beautifully. I love the way they talk. Thanks, Steph. I seem to be later and later with my submissions. Keep ’em coming! Mark, how do you do it? You wove all those sentences, strange as they were, so effortlessly into these scenes. 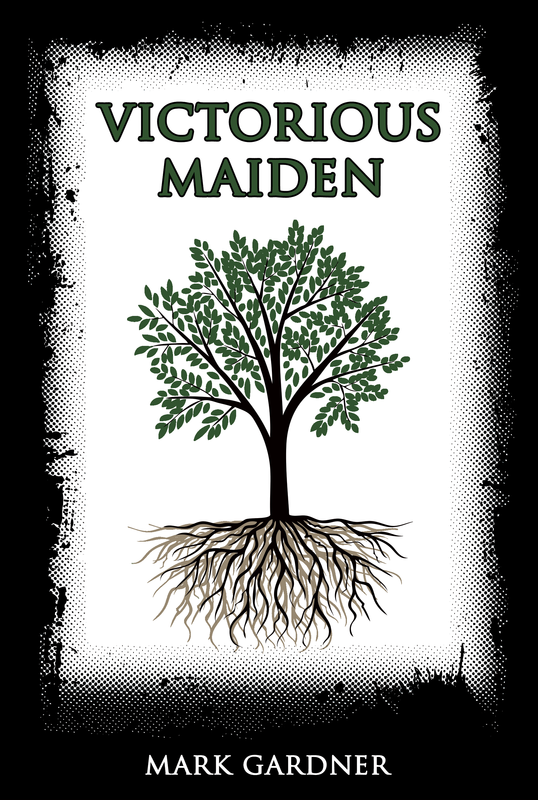 I’m in awe of the Victorious Maiden storyline! Thanks Adan! I haven’t seen you on Twitter or your blog in a while, It’s good to hear from you. How’re the rewrites coming? If I could get a little time to do those rewrites, they would be going great. With all that school has piled on me lately, I’m lucky to even jot out a blog post. How’s life? Well, I have 6 credits left on my Bachelor’s degree. And I hope to get the latest revision of 16Sunsets to an editor after this weekend. I keep hemming and hawing on what project to work on next. Exciting news on both accounts, Mark. I’m happy for you! After this semester, I just have 144 hours of internship over the summer and I’ll finally have the AS I’ve been going for. I can’t wait to see what you come up with next.